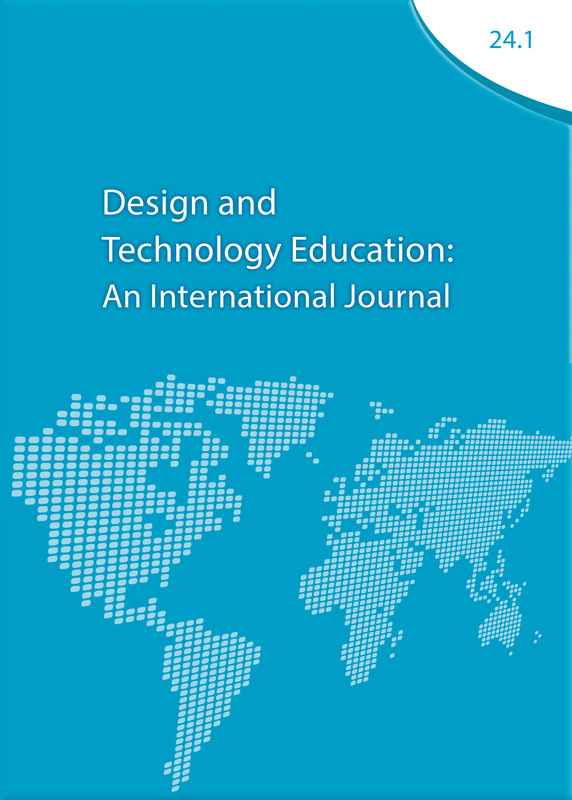 Design and Technology Education: An International Journal is a research journal that uniquely provides a broad and inclusive platform for all aspects of Design and Technology Education, Design Education and Technology Education in primary, secondary and higher education sectors, initial teacher education (ITE) and continuous professional development (CPD). The mission of the Journal to publish high quality research, scholarly and review articles at the leading edge of development of theories and practices of Design and Technology Education that increase insight, support understanding and add to global discourse. Due to editorial mistakes in Issue 23.3 published online on the 6th November 2018, we have now published a revised version. If you downloaded a full version of Issue 23.3, a single version of Exploring the relation between students' research behaviours in project courses and open innovation by Ilgim Eroğlu and Deniz Ekmekçioğlu, or a single version of Innovating industrial design curriculum in a knowledge-based, participatory and digital era by Mauricio Novoa, before 12.00 pm (UK time) on the 8th November, please delete these and download the revised versions.